Erin Bentrim is a visiting assistant professor of psychology at Wingate University. She is also a consultant who specializes in student assessment and strategic planning. Over the past 23 years, Bentrim has served in a variety of positions in higher education administration, including assistant dean of students, interim director of academic assessment, and the director of institutional research and effectiveness. In addition, Bentrim has held faculty appointments at the undergraduate and graduate levels. She has led several strategic planning initiatives in her local community and served as an assessment consultant for multiple campuses. 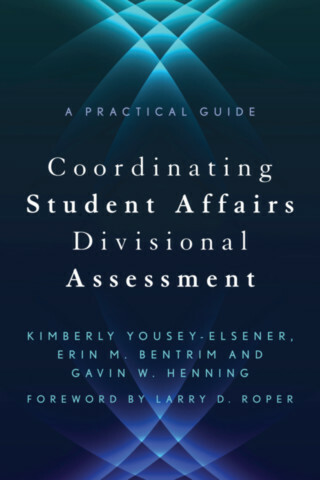 She was the national co-chair of the NASPA Assessment, Evaluation, and Research Knowledge Community from 2009 to 2011 and is a founding member of the Student Affairs Assessment Leaders. She holds a PhD in educational psychology and research and an MEd in student personnel services from the University of South Carolina and a BA in English from Wofford College.